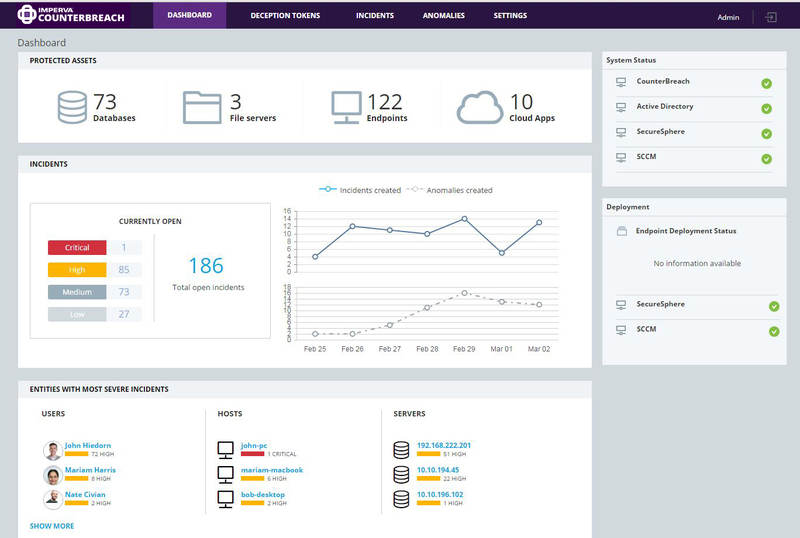 Imperva CounterBreach protects enterprise data stored in databases and file shares from the theft and loss caused by malicious, careless and compromised users. Accurately identifying potential data breaches requires deep contextual understanding of not just user activity, but the data users access and how they access it. With CounterBreach, security teams can quickly discern between malicious and normal data access events so they can immediately identify and act upon risky behavior. CounterBreach Behavior Analytics uses machine learning to automatically uncover anomalous data access events. This establishes a full contextual baseline of typical user access to database tables and files stored in file shares, and then detects and prioritizes anomalous activity. Combining an expert understanding of users and how they access data equips enterprises with the context and accuracy required to detect data breach incidents. 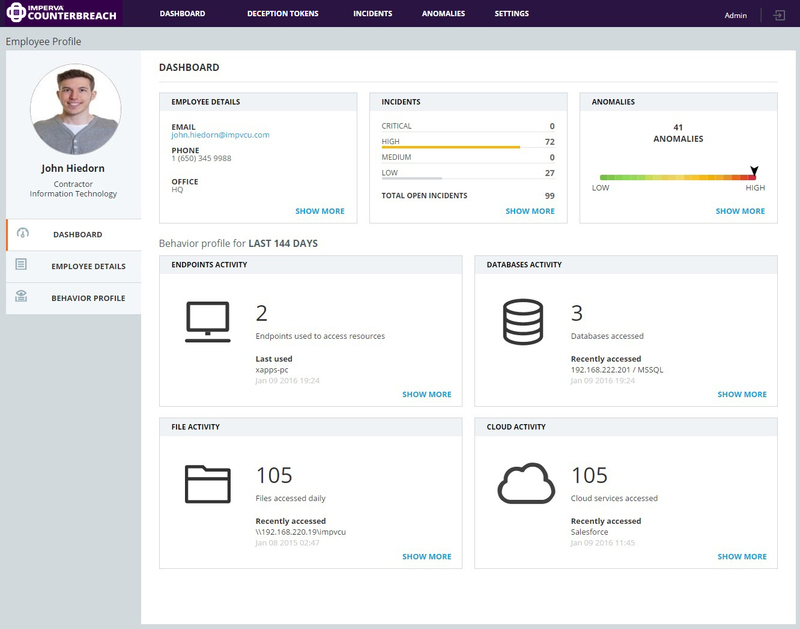 CounterBreach spotlights the riskiest users, client hosts and servers so that IT staff can prioritize the most serious data access incidents. Security teams can efficiently investigate the most worrisome data access events by filtering open incidents by severity, and then take a deeper look into a specific incident to view granular information about the user and the data that was accessed.